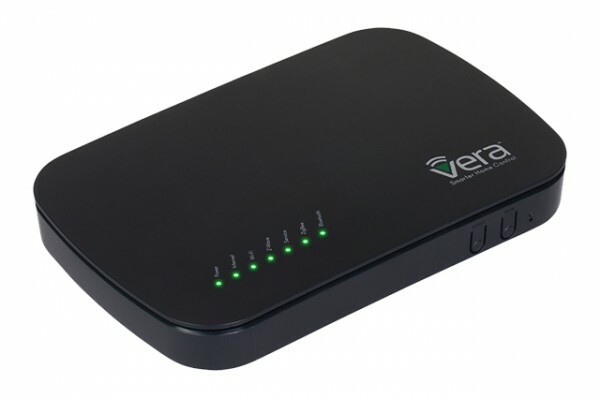 Product information "VERA PLUS Smart Home Gateway"
VeraPlus is a versatile smart home gateway which organizes your connected home, automates your Z-Wave devices with each other and enables controlling via remote, smartphone, tablet and desktop pc. More than 200 devices can be integrated into one Vera network, so VeraPlus is perfect for large homes. Also thanks to a fast processor (MIPS1004Kc, Single Core, 880MHz) with more memory (DDR3: 256MB). VeraPlus offers you more security and comfort. Create automatic heating and cooling schedules or activate heating or airing when you’re on the way home. Don’t waste energy. Adjust the climate in your home to your presence automatically. Go away on a trip without being afraid for your home. If you want, you will know anywhere and anytime what’s happening at home. VeraPlus is versatile. Beside Z-Wave the gateway also have WiFi, Bluetooth and ZigBee on board. Related links to "VERA PLUS Smart Home Gateway"